This is in 'like new' condition. 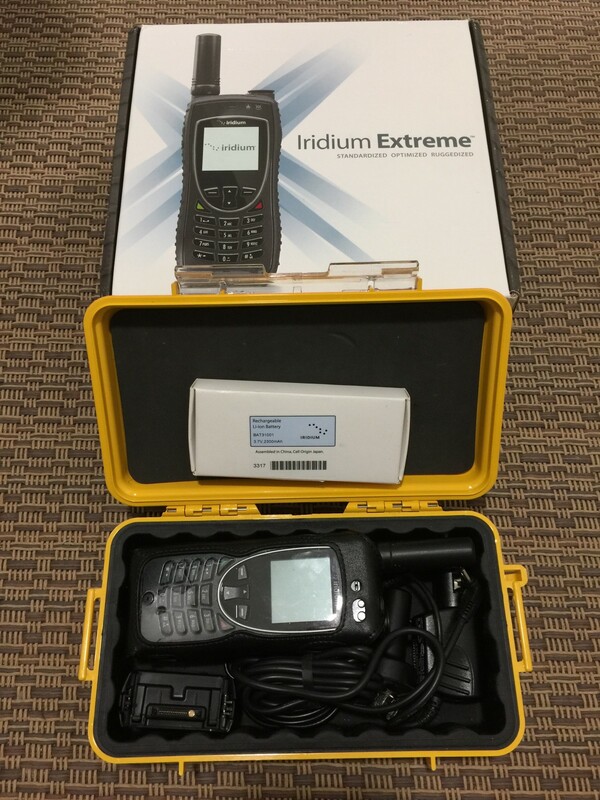 I purchased it brand new from an official Iridium supplier in Europe and have used it for less than 20 minutes of talk time since then. It wasn't used on 'stand by', but was turned on when a call was to be made. That's it. New, this is a €1400-1650 phone depending where you buy it, with the additional battery costing something like €130-160. If you have a use/need for a satphone (work or expedition for example) you will not find a better deal on a phone that will work 'pole to pole'. My work is now completely different, so I don't have any need for this kind of phone, even for 'peace of mind' purposes these days. Only used on land, not at sea. Never wet or anything like that. The phone has been kept in the original soft case, inside the Peli hardshell waterproof case which is included with the sale. The original accessories are included in the sale, as is the original packaging and documentation. The second genuine Iridium battery has not been fitted into the phone - It's completely new. The package comes with an unactivated prepaid sim card (supplied by AST Communications) suitable for 'pole to pole' service, which you can 'charge' online with the kind of service you want, or you can order a subscription from Elisa or any of the specialist suppliers here in Finland. Welcome to come inspect the phone at my home or we can make other arrangements if you are located in some far away places.